God hath given His Angels charge of thee, that they keep thee in all thy ways. Amen. And my tongue shall declare Thy praise. O God, incline unto my aid. To spoil the beauty of Thy cherished work. O holy Angels, our Guardians, defend us in the combat, that we perish not in the dreadful judgment. V. In sight of Thy Angels I will sing to Thee, my God. R. I will adore at Thy holy temple, and confess to Thy name. grant to Thy humble suppliants to be always defended by their protection, and to enjoy their everlasting society through Jesus Christ, Thy Son, Our Lord, Who liveth and reigneth, world without end. Amen. Poor mortals thus designed to fill his place. Safe from disunion's withering control. Be these same pains, endured to set us free. The germ of endless happiness with Thee. To Hell, their fitting, their eternal tomb. Thy matchless power against our ancient foes. Thou wert the herald of His future birth. O God, Who, with unspeakable providence, hast vouchsafed to appoint Thy holy Angels to be our Guardians grant to Thy humble suppliants to be always defended by their protection, and to enjoy their everlasting society through Jesus Christ, Thy Son, Our Lord, Who liveth and reigneth, world without end. Amen. V. Convert us, O God, our Saviour. R. And avert Thine anger from us. To thank, to praise thee, face to face. 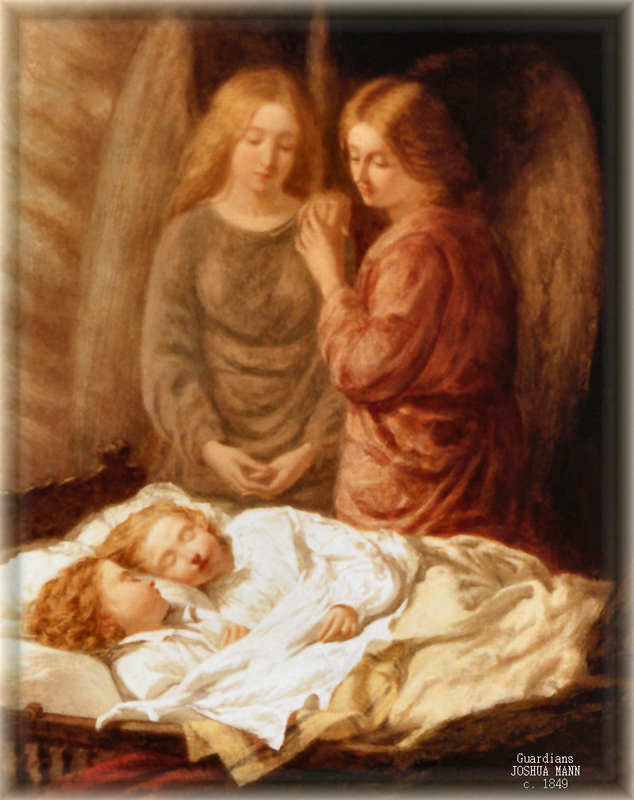 I salute thee, holy Angel who didst comfort my Jesus in His agony, and with thee I praise the Most Holy Trinity for having chosen thee from among all the holy Angels to comfort and strengthen Him Who is the comfort and strength of all that are in affliction. By the honor thou didst enjoy and by the obedience, humility and love wherewith thou didst assist the sacred Humanity of Jesus, my Saviour, when He was fainting for very sorrow at seeing the sins of the world and especially my sins, I beseech thee to obtain for me perfect sorrow for my sins; deign to strengthen me in the afflictions that now overwhelm me, and in all the other trials, to which I shall be exposed henceforth and, in particular, when I find myself in my final agony. Amen.